David Thorpe is finding out if the Mark III version of the Olympus E-M10 is a big step up from the Mark II. 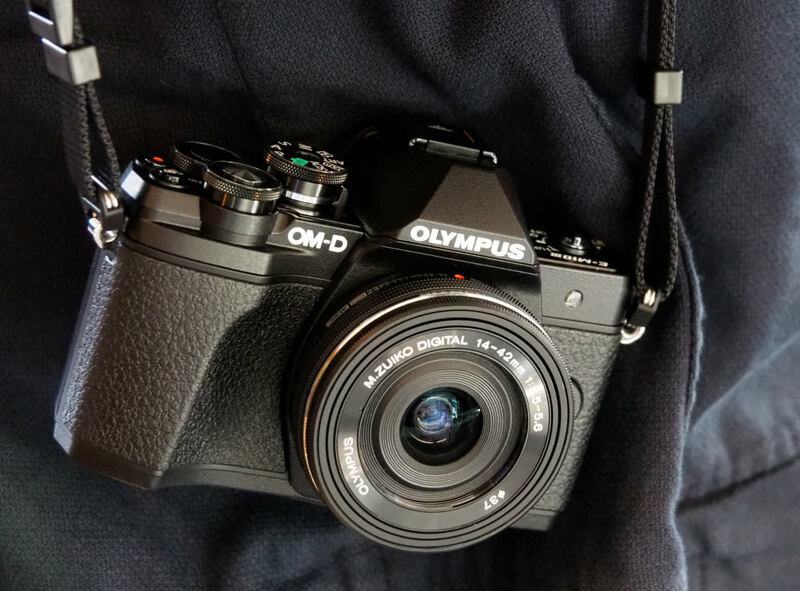 The Olympus OM-D E-M10 Mark III is the third version of Olympus' entry-level, Micro Four Thirds (MFT) OM-D range and MFT fan, David Thorpe, has been putting it to the test. "Olympus's E-M10 mark ll was my favourite Olympus. Now here's the Mark lll. Is it a big step up or just an incremental one? Is it a step up at all?" Asks David. The retro-styled Olympus OM-D E-M10 Mark III features a 16mp Micro Four Thirds sensor, 5-axis image stabilisation built-in, a 3inch tilting touch-screen, built-in Wi-Fi, 8.6fps continuous shooting, and 4K video recording (to name a few of its features). It also offers 10 improvements over the Olympus OM-D E-M10 Mark II. We gave the Olympus OM-D E-M10 Mark III 4.5 stars and a 'Highly Recommended' award, saying it's 'ideal for beginners and those looking for an entry-level SLR-like mirrorless camera' but does David agree? Hit 'play' on the video above to find out. Thanks for the frank advice. I'm so glad that I plumped for the mark ll over the lll and apart from the poorer low light performance I much prefer it to my previous Canon EOS5D mark lll which disappointed me. Given the excellent 5 way IBS the low light problems are alleviated anyway by the ability to shoot at quite low speeds. Thanks for the frank advice. I'm so glad that I plumped for the mark ll over the lll and apart from the poorer low light performance I much prefer it to my previous Canon EOS5D mark lll which disappointed me. Given the excellent 5 way IBS the low light problems are alleviated anyway by the ability to shoot at quite low speeds.